CHARLESTON, SC // October 6th, 2017 @ 5-8 pm // 177 King St // Hagan Fine Art Gallery & Studio is proud to host the October CGA Artwalk Reception with an artist show featuring artists Mary Ann Cope and Mary Hoffman. Mary Ann and Mary are two very talented and highly esteemed artists whose creative perspectives complement one another, yet are quite unique. Both women employ strong brush strokes and rich color palettes. This special show captures the passion that inspire these two women: the wines and vineyards of Napa Valley and Italy for Mary Ann Cope, and the Mary’s scenes of the East and West Coasts. You are invited to come enjoy complimentary refreshments, conversation and all things art. Walk the gallery, feel the atmosphere, create community. Hagan Fine Art Gallery’s Artist in Residence, Mary Ann Cope, is inspired to capture a nuanced sense of place in her art that connects the viewer to warm thoughts and treasured memories. After a multi-decade career as a healthcare entrepreneur, CEO, and industry voice for legislative and regulatory issues on Capitol Hill, Mary Ann came back to one of her first loves: art. Growing up in the Ohio countryside, Mary Ann honed her drawing skills and perspective from the days she spent sketching the neighbors’ horses. She gained a deep appreciation for the works of the great Masters, French and American Impressionism, great architecture and travel from her mother who frequently orchestrated museum excursions for the family. Her artistic journey seeks to honor the connectedness of people, places and things that inspire, bring great joy and drive creativity. 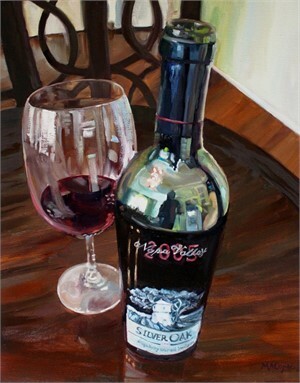 Mary Ann Cope’s work for this show encompasses all things wine! Award Winning Artist, Mary Hoffman, has been drawing and painting and knew without a doubt that when she grew up she’d be a professional artist. As her artistic skills developed over the years, Mary became best known for her portraiture art. For the past 20 years, CEO’s, universities, and collectors from all over the world have commissioned Mary for her elegant oil paintings and charcoal portraiture. 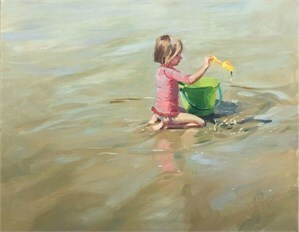 Today, Mary enjoys combining her love of the portrait and figure with painting Plein Air landscapes. She travels to paint and attend workshops and ‘Plein Air’ paint-outs all over the Eastern United States. “Life. That moment in time. A visual experience captured through the brush strokes on a canvas, conjuring precious memories and taking the viewer to a wistful place; this is my hope - this is my art” (Mary Hoffman). 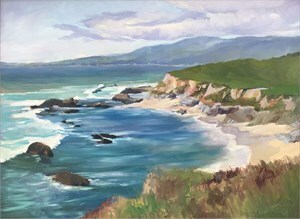 Mary Hoffman’s work for this show will include landscapes from the West Coast to the East Coast. and 18 karat white gold. See images of Mary Ann Cope’s and Mary Hoffman’s artwork. Please contact Hagan Fine Art Gallery at 843-901-8124 to inquire about the reception or any art piece. 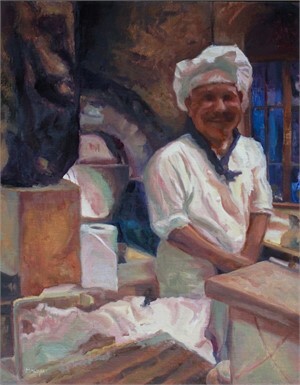 You can also view and purchase artwork online at www.haganfineart.com.